Ron Hami "Birds of Paradise" ring. 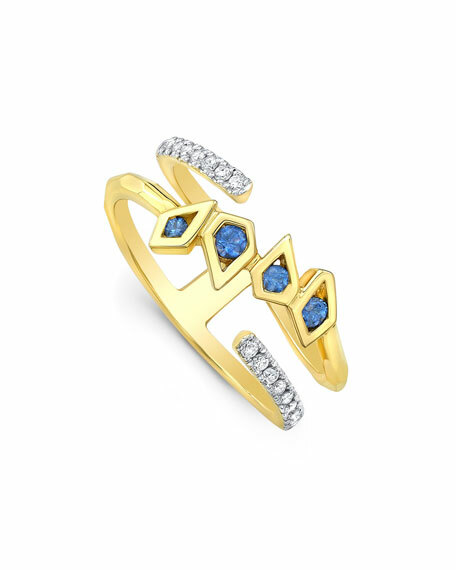 Round blue sapphires in mixed-shape bezels. Pavé diamond trim at split band. For in-store inquiries, use sku #2427883.